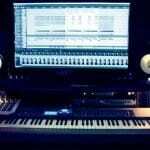 There’s no greater time to be in music production than right now, Practically any instrument or effect you could want is only a few clicks away, the best part is you needn’t shell out an arm and a leg for them. There are so many new plugins being released every month it’s an IMPOSSIBLE task trying to keep track of everything that’s going on. I find that at least 2 or 3 times a week I seem to stumble across something new through a Facebook ad or while reading an article that perks my ears up! the only thing is that myself just like anyone else can’t afford to be forking out $99+ every time I see something I want to add to my studio. As much as it makes me want to throw my toys out of the pram its a case of buck up and shut up! Luckily if you’re strapped for 2 pennies your not in as much of a bad situation than what you might think, From virtual analogue synthesizers and realistic sampled instruments to classy modelled mix processors and cutting-edge creative effects, gaining some new toys to play with doesn’t mean your wallet needs to take a battering. But, again with so much free content being released, it can be difficult task sifting your way through what’s worth downloading, but by taking some time out to dig right in I promise you there are some 24K gems that you’ll eventually think you couldn’t survive without. Throughout many years I have built up a catalogue of free plugins that I consider to be just as valuable as paid ones, 2016 though I feel was a special year for freeware and found myself knee deep in savings and using some quality free gear sometimes more than paid ones. 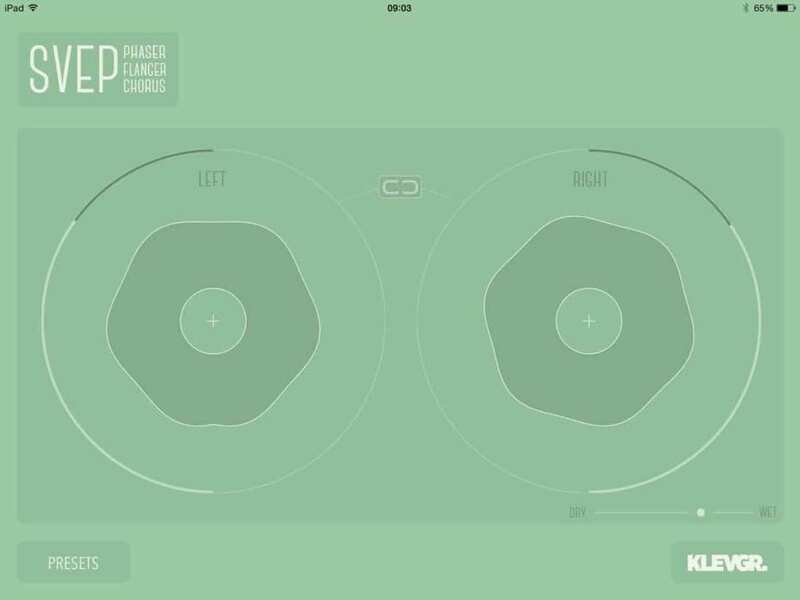 So put your credit card away and spend the Christmas money your nan gave you on something else (if you haven’t spent it down the pub already) here are the top 10 free VST/AU plugins to download from 2016. Matt Tytel’s Helm is a seriously deep synthesizer – almost as complex as a modular, thanks to its comprehensive modulation routeing scheme. 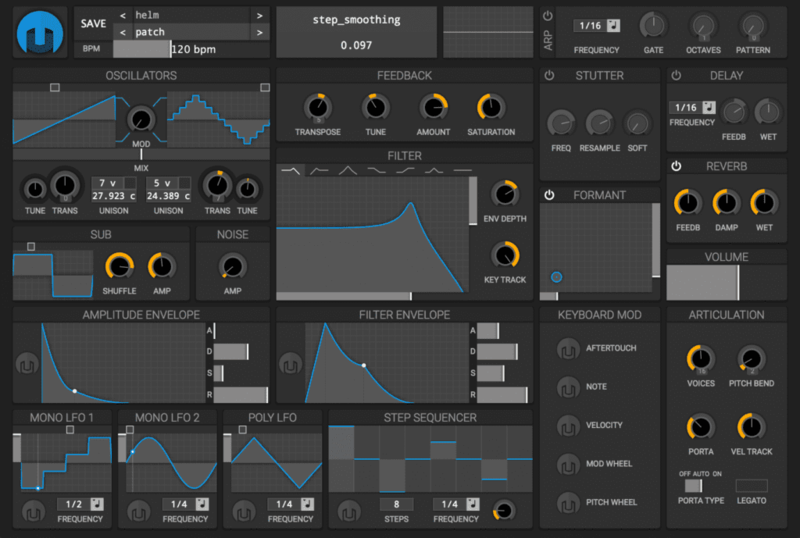 You can create rich, evolving patches with this incredible open-source freebie. If it’s functionality you’re after, Tokyo Dawn Records’ TDR Nova has it in spades. 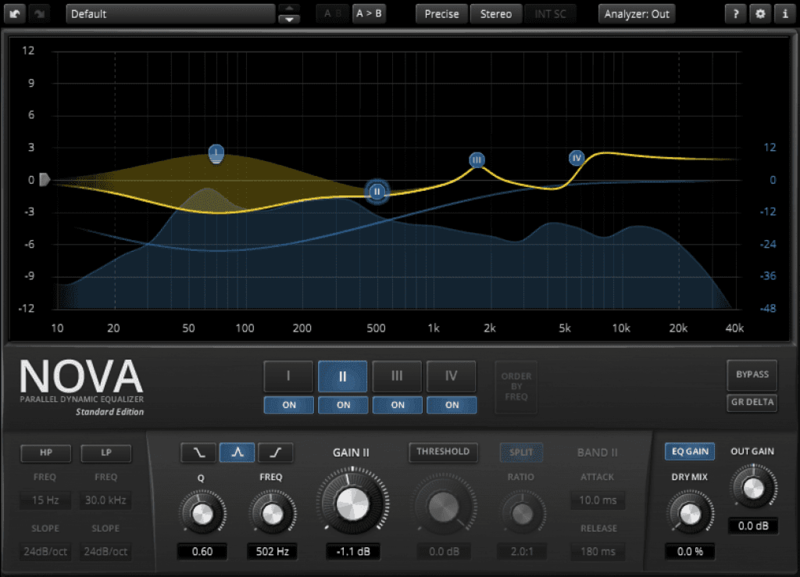 Nova does double duty, acting as a superb parametric equaliser or a dynamic equaliser, offering dynamics processing on each band. 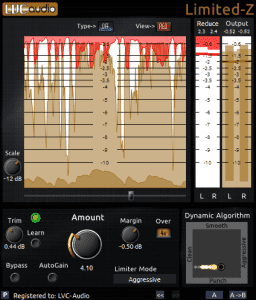 Add to that a gorgeous spectral display and you have a plugin that should cost a pretty penny – but doesn’t. Think about it: a stereo signal is normally manipulated using a balance control, which simply adjusts the levels of either left or right channels, but doesn’t actually simulate moving the signal further to one side or another. DeePanpot draws upon a psycho-acoustic phenomenon called the Haas (or Precedence) Effect to do exactly that. Honestly, we didn’t even know we needed such a thing until we tried it, and we’re sure you’ll feel the same way. These are just a few of the plugins on offer – if you make music on a Windows machine, you owe it to yourself to check them out and donate if you like them. 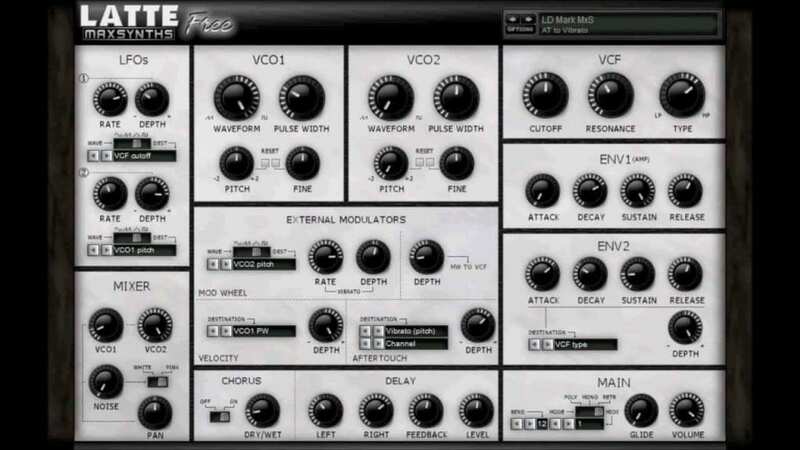 *Please note maxsynths.com is currently down, therefore this plugin is unavailable. Rather than faux brushed aluminium or pixel-perfect recreations of Rogan knobs, Svep offers a large, friendly and tactile interface all but free of labels. There are is a stereo link button and a slider each for mono/stereo and dry/wet mix, but all effects parameters are controlled by dialling in and around two large concentric circles (one for each channel), the inner circle of which breaks into multiple tendrils that represent the modulation speed.